Simple is never a bad thing at RSG, sometimes it is the simple things in life that give you pleasure and our Lola Desk Lamp certainly gives us pleasure. 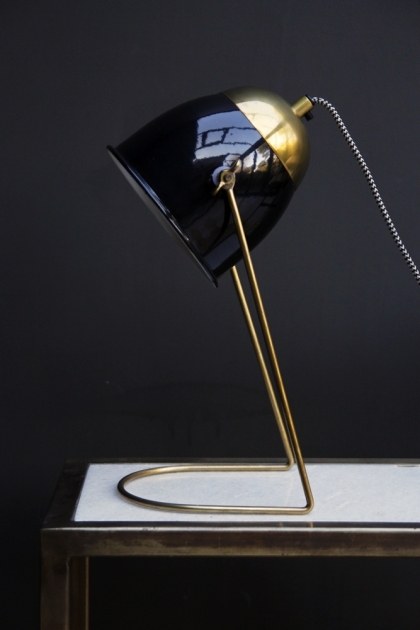 Inspired by the industrial trend, the lines and design of this desk lamp are simple, clean and yet totally stunning. 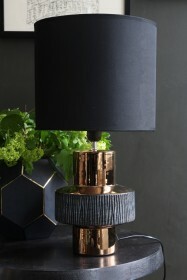 The base is a single brass coloured tube that forms a U shape and slants straight up to support the shade. The shade is adjustable in terms of its angle by matching brass coloured wing nuts on either side which really taps into that industrial, workshop look. 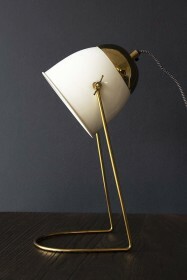 the shade itself has a shiny enamel look to it which contrasts with the raw brass colour perfectly. Display this Lola Desk Lamp on any desk, bedside table or even side table as a reading light and we guarantee you won't be disappointed with the style its simplicity will bring to the room.